Convenience. Quality. Cost Effective. Patient Driven. These are just a few reasons our patients come to us for their Radiology exam needs. At Johnson County Imaging our focus is to find solutions that optimize health care quality and affordability. But what really sets us apart? The expertise to provide quality, patient driven care to you and your family. With Johnson County Imaging you benefit from our leading edge equipment, board certified Radiologists and compassionate staff, partnered with our price transparency program. 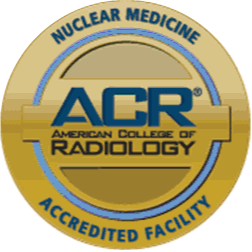 These benefits allow us to achieve Patient Driven Care and offer convenient scheduling, online access to reports and images, accreditation by the American College of Radiology in CT, MRI, Nuclear Medicine and Mammography, Patient Portal, and a quality-driven staff dedicated and focused to provide excellent care to you and your whole family. We believe that being open and honest about pricing is a benefit to you and an important part of your health care decision. At Johnson County Imaging, cost savings can be realized without compromising quality, technology or superior service. Click on the Radiology Exam Pricing link above to access our online pricing tool. Thank you for choosing Johnson County Imaging!